ST elevation in lead V1 without ST elevation in V2 can be a sign of right ventricular infarction, particularly when also seen with ST elevation in III > II and ST elevation in the right sided lead V4R. This ECG is from a man in his 50s who presented with chest pain on a background of previous CABG and dual chamber pacemaker. 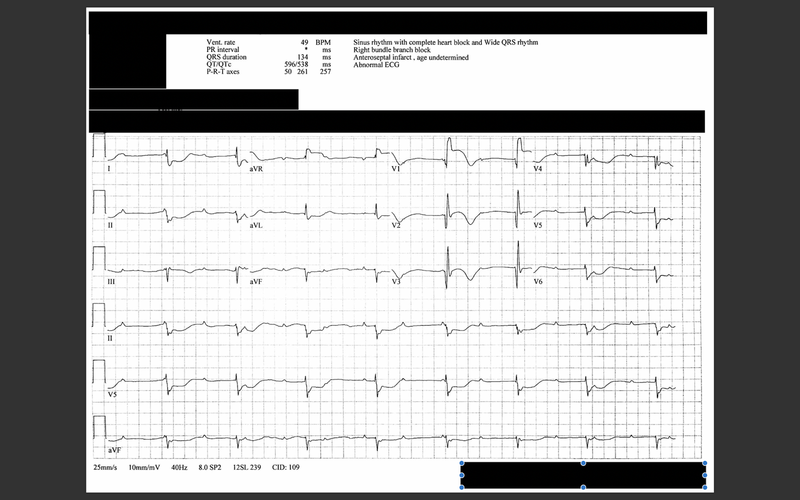 This was the repeat ECG 16 min after arrival. This ECG shows a ventricular paced rhythm with excessive discordant ST elevation in III and aVF, and ST depression in aVL. The cause was an inferior and right ventricular infarction.